Thrust bearing pads(PTFE)/ Elastic metal-plastic(EMP)thrust bearing pads structure & performance: PTFE for the surface layer,chelate of copper wire and orderly spring pad to do in the middle layer of steel to the bottom of the composi-tion. 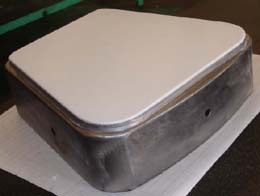 PTFE through a special process with the copper wire spring mattress solid combination of metallic plastic known as the composite layer. After a special process it brazing into steel. Thrust bearing pads(PTFE) of performance depends on steel metallic layer of composite PTFE plastic, PTFE plastics are the main features of nonpolar molecu-les & smooth contours. This optical elements of the outline of the slide so that it't only has a very low coefficient of friction characteristics, but also in the process of sliding relative to the transfer of dual surface to form thin transfer film,and plays on the protection of the mill thing.So in the boot unit,downtime or an accident,the hydrodynamic lubricant film can not be formed or damaged,the bearing lubrication or tile in the border state of dry friction.At this point the traditional tile Babbit will be serious wear or even bush-burning,flexibility metallic plastic tile will not happen,it's the normal functioning of the security unit. From structure of Thrust bearing pads(PTFE), copper wire spring pad to play the role of the link;from the physical properties,it provides strength,resilience & stability of size.Copper wire spring mattress with plastic PTFE together, the situation is basically good or bad decision on the flexibility metallic plastic tile is good or bad. 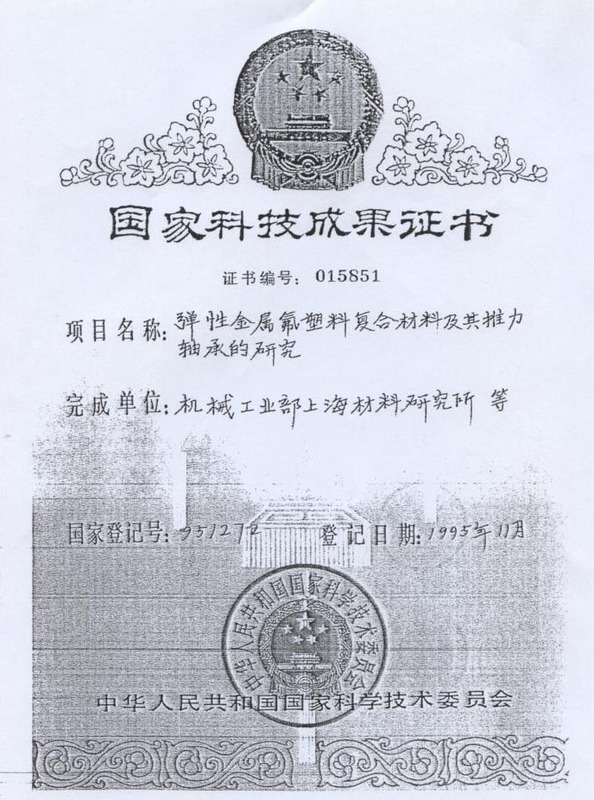 I produced the Shanghai Institute for the development of materials to the PTFE surface layer of plastic for metallic plastic bearings,in January 1994,through the Department of Mechanical and Electric Power joint identification,won a 1994 firstclass scientific and technological progress of the Department of Mechanical Awards,the annual statelevel new products in 1995 & 1996 certificates issued by the State Science & Technology state-level scientific & technological achievements focus on projects to promote "flexibility metallic fluoride plastic composite thrust bearing and its" technical units based on the certificate. 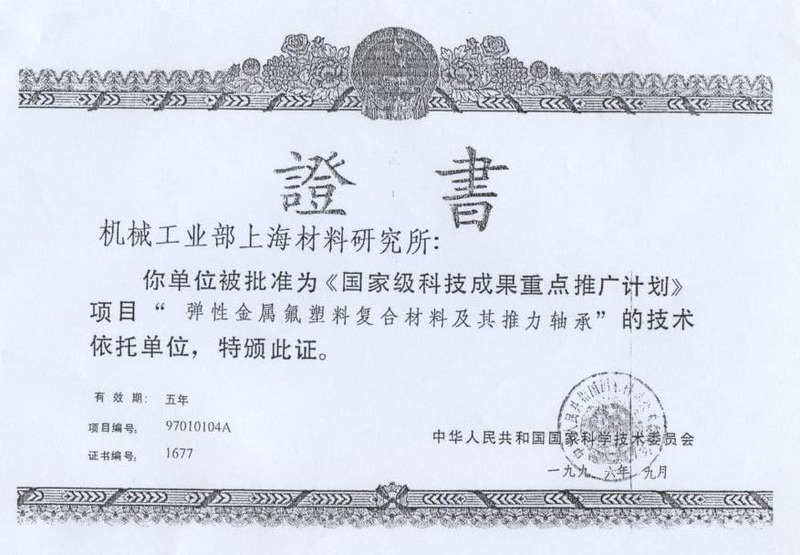 1.National certificate of THRUST BEARING PADS(PTFE) new products(1995 year). 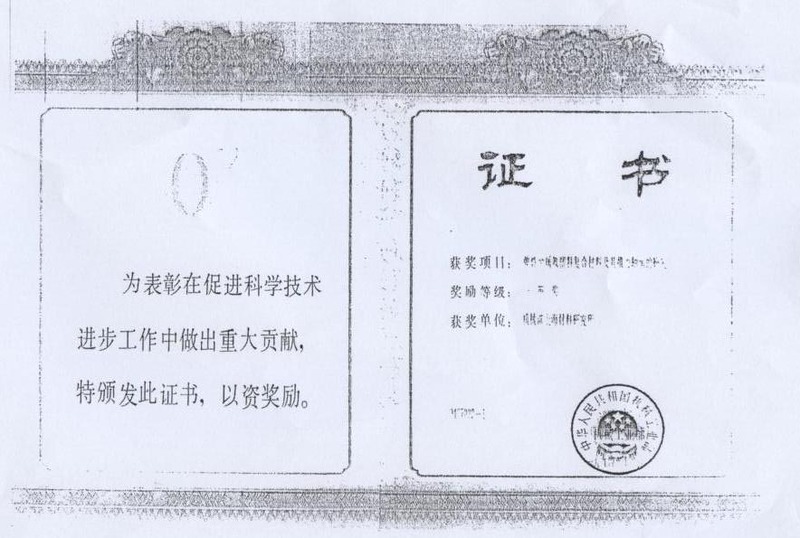 2.THRUST BEARING PADS(PTFE) certificate of national scientific & technological achievements(1995 year). 3.THRUST BEARING PADS(PTFE) First prize of national scientific & technological progress(1994 year). 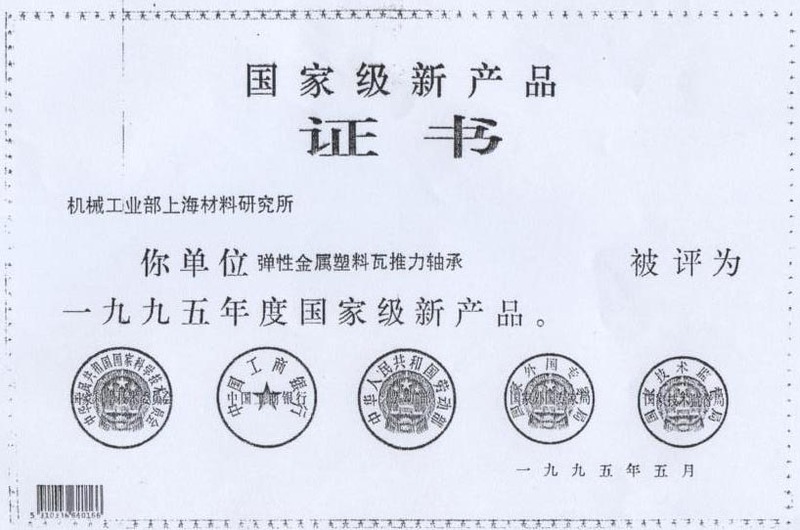 4.THRUST BEARING PADS(PTFE) Support unit for the national scientific and technological achievements(1996 year). Thrust bearing pads(PTFE) of the outstanding characteristics. Thrust bearing pads(PTFE) design parameters.